As one of the UKs leading PSV propshaft suppliers and propshaft repairs, Imperial Engineering is a leading Authorised Distributor for Dana Spicer Driveshaft and GKN Driveline, Imperial Engineering provides a comprehensive range of genuine manufacturers’ propshaft parts, including brand new propshafts and universal joints. We are also experts in propshaft repairs which are undertaken at our own dedicated engineering facility. Imperial Engineering can carry out a standard repair to a propshaft by replacing the universal joints and checking that all splines are intact. 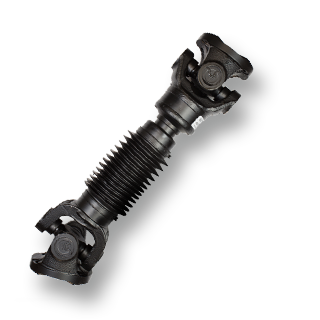 Our propshaft repairs are carried out to high standard and we stock a wide range of these service-exchange units and other propshaft parts to cut down on lead times and vehicle down time. This group of products carries a one-year warranty and are supplied on a service-exchange basis for propshaft repairs. Dana Spicer Driveshaft components is part of Dana, a world leader in highly engineered solutions for improving the efficiency, performance, and sustainability of powered vehicles and machinery. Dana supports the passenger, commercial, public service and off-highway markets, as well as industrial applications.